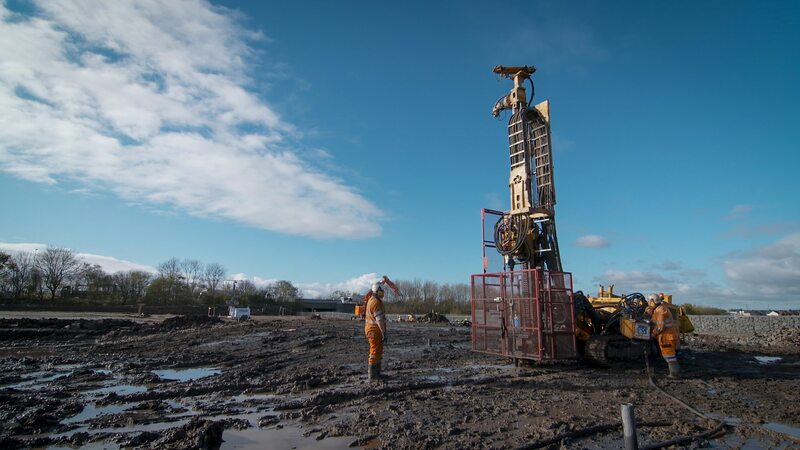 Aarsleff Ground Engineering were awarded the mine stabilisation contract by main contractor Rainton Construction, part of the MGL Group, as part of the development of a new retail park in Shiremoor, Northumberland. Shiremoor is a large village located off the A19 dual carriageway and just topside of the construction of Highway England’s multi-million-pound three-tier grade separates junction as part of its A19/A1058 Coast Road Improvement Silvertown Link Interchange scheme. The North Tyneside village was built around the coal industry, however as the coal industry in the area declined, Shiremoor became a commuter area and more recently services as a commercial centre. In 2015, plans were first revealed for a multimillion-pound retail development which would create more than 180 jobs. The proposed development would include a discount food store and numerous retail outlets – two of which are an Aldi supermarket and a drive-thru Costa Coffee. For treatment of the old mineshaft, Aarsleff are drilling a temporary liner to its base and inject grout under pressure in ascending stages to fully consolidate. 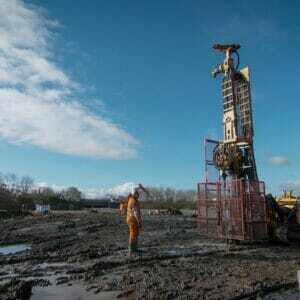 Further test bores will be constructed, and pressure grouted to prove the construction. Finally, Aarsleff will construct the standard accepted Coal Authority mineshaft cap with an assumed shaft cap of maximum 6.40m diameter.